When I was offered a participation in Erasmus Exchange porgramme, I wanted to explore entrepreneurship in a country with great traditions. Entrepreneurship in St. ERHARD is the perfect to meet German people, German culture and famous German Beer! As an admirer of strong traditions, I value the opportunity to work at a professional craft beer manufacturer. I share St. ERHARD® love for customs, traditions and hard work. Like my predecessor from Estonia before, I`m also observing a different cultural space (local consumer and its habits, local market) with great interest. I come from famous (at least for Estonians) and beautiful resort city Pärnu. Due to my previous work experience I take the liberty to say, that I know Estonian consumer. Now the St. ERHARD® offers a great opportunity get to know German and international markets and its customers. Difference enriches and work in the international sales department create a bigger chance to let us (both – myself and St. ERHARD®) more closer to clients and customers. Let us entertain You by offering a beer-tastic flavors! My name is Enzo. Today is my first day at St. ERHARD GmbH in Bamberg and I will be part of the sales team for the next 5 months due to my internship, which I am very proud of! I am what the locals are calling “A’ Neigschmecktr!”. Born in northern Germany in 1986 I rose up in Würzburg for the last 13 years (another beautiful city in Franconia, not far from lovely Bamberg) and startet my studies in Bamberg in 2013 after being a finance and insurance salesman for nearly 8 years. I started to get interested in everything handmade, food and drink related, a long time ago. Next to my love of cooking and hosting dinner parties I began to read and try more about Single Malt Scotch Whisky and beer especially from Franconian area. This summer the St. ERHARD GmbH was looking for assistance at their “Die Bierothek” beer store in Bamberg and I immediatley applied! After a short period of familiarisation with the range of products and trainig on the job the CEO, Christian Klemenz, and I decided to take the collaboration to the next level which led to the now starting internship. Therefore I am very thrilled to get this opportunity to be a part of this very unique start-up and bring in my admiration for this product! I will try to bring in my sales and aquiring skills as good as possible to help St. ERHARD getting their appreciation they deserve all over the world with their great products. 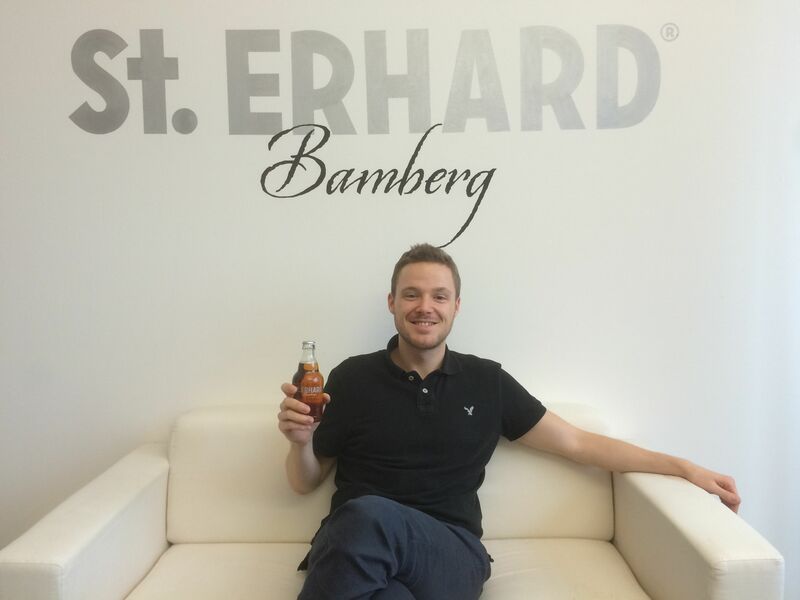 Hello everybody, I am Yann Ehrhard, the new summer intern here at St. ERHARD GmbH in the beautiful city of Bamberg. Born in Ivory Coast, raised in France, I’m now a student at McGill University, Desautels Faculty of Management in Montreal, Canada. There I’m doing a Bachelor of Commerce in International Management. The way I got to know St. ERHARD is quite funny, I was looking for an internship over the summer to gain more practical work experience, and apply what I’ve learned in classes in the real business world. One day while going through my followers on my Twitter account, I realized that a company called St. ERHARD was following me, intrigued I decided to do more research about the company, and discover what they’re about. It was a really funny to see that they were a company who was producing beer, with my family name, and that looked young, innovative, and wanted to bring its unique touch of style and taste to the beer world. Moreover, I’m a beer lover, I grew up around it, live in a country where the beer culture is strong, from just hanging out with your friends to huge sports events, beer is not only a drink, it’s a way to enjoy life with a simple beverage, which interwoven different and complex aromas. That’s why I decided to send an email with my resume and a motivation letter, to know about their internships opportunities. No need to elaborate on the following, I think you can guess what happened next. I’m working here thanks to the European Union program called Erasmus for Young Entrepreneurs, which helps young people to discover what’s entrepreneurship by placing them in new companies. It’s a really good initiative that I recommend to anyone who wants to discover more about this field. I just started yesterday, and you can’t believe how much I’m excited to be here, helping St. ERHARD to grow and learning at the same time, it’s one of my first real job experience and will probably never forget it. Zum heutigen Tag des deutschen Bieres am 23. April haben wir eine ganz besondere Nachricht für alle Bamberger bzw. alle Bamberg-Besucher. Zum 1. Juli 2014 eröffnen wir Deutschlands erste Bierothek in der Bamberger Innenstadt. Der einzigartige Fachhandel für Bierspezialitäten wird die größte Bierauswahl Frankens anbieten und einen neuen Anlaufpunkt für alle Bier-Liebhaber darstellen. Aus unserer eigenen Erfahrung mit dem Vertriebsaufbau von St. ERHARD in Deutschland heraus haben wir festgestellt, dass es für junge Craftbier-Marken im klassischen Handel oft schwierig ist, weil das Verständnis und die Kompetenz im Umgang mit diesen Spezialitäten noch weitestgehend fehlen. Selbst in der Bierstadt Bamberg ist es immer noch schwierig, einen gut sortierten Bierladen mit geschultem Fachpersonal zu finden. Diese Lücke wollen wir mit der Eröffnung der ersten Bierothek in Bamberg nun schließen. Ähnlich einer Vinothek, werden in der Bierothek ausgebildete Biersommeliers den interessierten Kunden die facettenreiche Welt des Bieres näherbringen. Wir wollen damit nicht nur den bierbegeisterten Franken den Zugang zu sonst schwer beziehbaren Bierspezialitäten aus dem In- und Ausland ermöglichen, sondern auch neue Geschmackserlebnisse ermöglichen. Neben ausgefallenen Spezialbieren wie belgischen Trappistenbieren, amerikanischen Pale Ales und internationalen Lagerbieren werden aber natürlich auch preisgekrönte fränkische Biere angeboten. Die erste deutsche Bierothek wird ihr Zuhause in einem denkmalgeschützten Gebäude in der Königstraße in Bamberg finden. Am Dienstag, den 1. Juli 2014 findet die feierliche Eröffnung statt und ab dem 2. 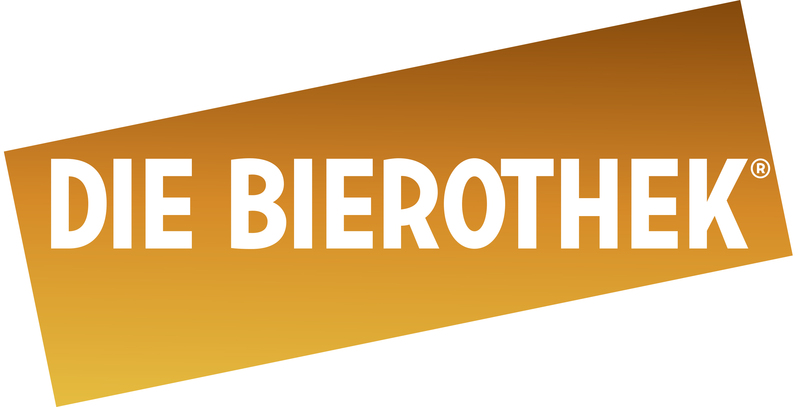 Juli ist die Bierothek für die bier-interessierte Öffentlichkeit zugänglich. We are very proud that St. ERHARD was featured in the Bayrischer Rundfunk (BR) last Sunday. It was a very interesting experience having a camera team filming us at work. In this blog post I want to tell you more about this feature and how it was made. We were really happy when the BR contacted us in October and told us that they want to do feature about us in Sunday’s Frankenschau. After we organized all the details we scheduled the date for the shoot. This shooting day was a really interesting experience because we had the chance to see behind the myth of television. At November, 6th a camera man, an audio engineer and a television journalist came to our office at the IGZ (Center for Innovations und New Ventures) in Bamberg. Once we showed them around in our rooms, we directly started shooting. Time is money! After we were filmed in our office and our Founder Christan Klemenz was interviewed, we also decided to show the BR-Team our warehouse where our products are stored and prepared for the shipping to India and Hong Kong or to our costumers in Germany and the rest of Europe. Subsequently, we moved on to “Moe’s Bar” in Bamberg to shoot some scenes with the guests of Moe’s drinking our St. ERHARD. This nearly whole day of shooting ended up in a very nice 5-minute feature about St. ERHARD in the Frankenschau at November, 24th . Thanks again to the BR-Team for they great work. And now check out the video! My name is Mart Raus and this is my first day in St. ERHARD. I am here through the Erasmus Entrepreneur program. First, I would like to introduce myself. I have grown up in Tartu, Estonia – quite similar town to Bamberg with its size and university. Historically Estonia has had much influence from Germany and as such we have also a strong beer culture and some good beers. After my university studies I co-founded a company that produces a unique product “Grillcube” that helps grillers start their BBQ charcoal very easily with just one match, but without any flavor ruining lighter fluid additives. And of course, a tasty charcoal grilled pork and a very fine beer is an excellent match! 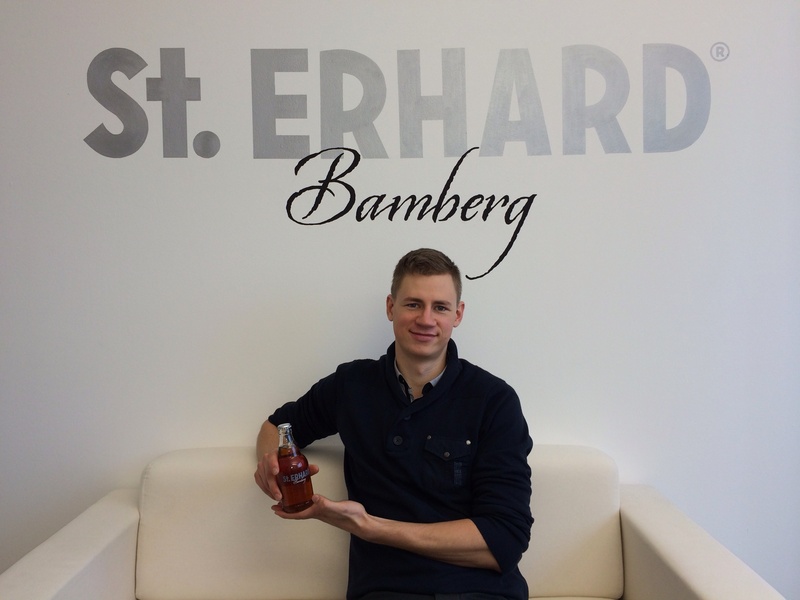 I got to know St. ERHARD as a very fast growing and globally orientated start-up from a historical beer region in Germany. I liked the brand and very good execution behind it and think this project helps to grow both companies. 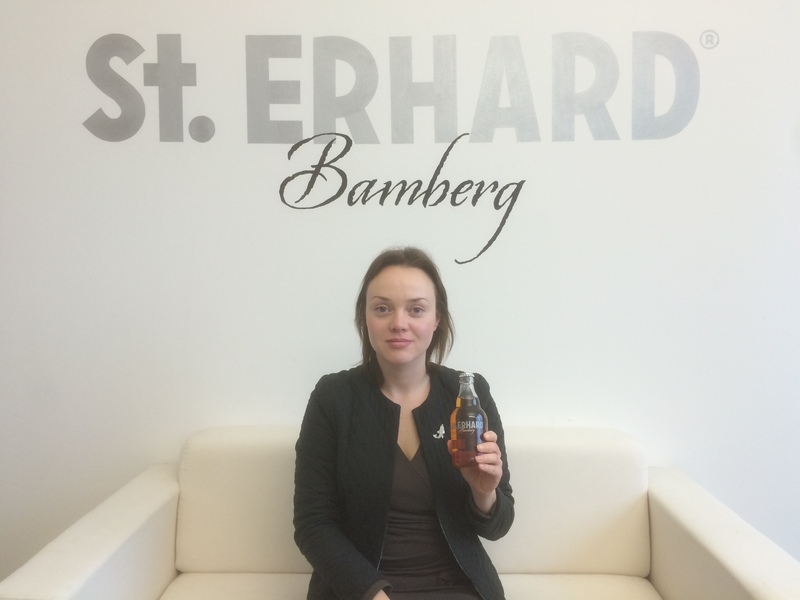 I love a good beer and it’s great to be working with St. ERHARD. Feel free to contact me anytime by writing a comment below or sending an e-mail. I’m looking forward to hearing from you! Last Wednesday was a special day for us! We won the Founders Award (Gründerpreis) of the Sparkasse Bamberg. We are very happy about that and give thanks to the Sparkasse Bamberg for the recognition of our passionate work over the last two years. 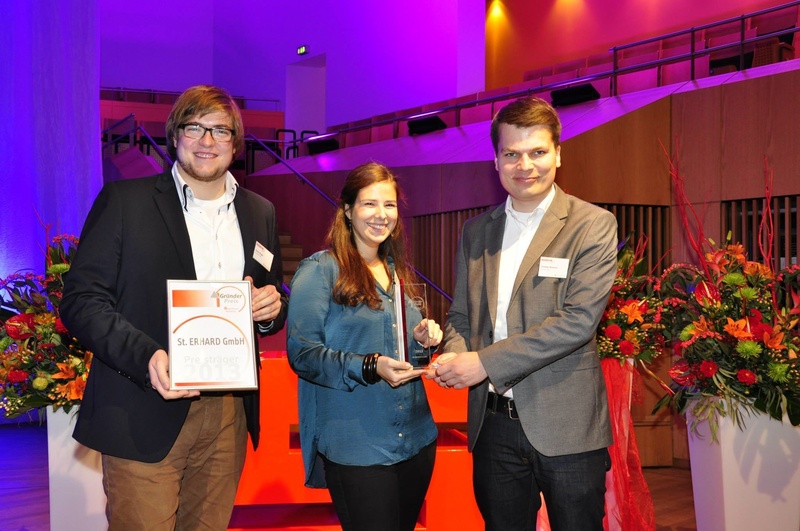 Since 2009 the Sparkasse Bamberg bestow the Founders Award, which includes a prize money of 5,000 €, to innovative and exceptional young start-ups from the region of Bamberg. The award ceremony took place within the “20. Bamberger Wirtschaftstage” (20th Days of the Bamberg economy) at the concert hall Bamberg. During this special occasion, after the awards were handed over to the winners, we were glad to have the chance to listen to a inspiring speech of Dr. Florian Langenscheidt, who is a important manager, publisher, entrepreneur and business angel in Germany. Finally we want to thank the Sparkasse Bamberg again for this award and the special evening at the concert hall Bamberg. PS. : Also check the pictures of the evening on our facebook site. If one talks about a beer region in Germany, only Bavaria comes in our minds. The southern part of Germany holds half the amount of the country’s total number of breweries which amounts to over 1200 breweries. Half of these breweries are located in the Franconian region, especially in Upper Franconia also known as ‘Oberfranken’. The residents living in Franconia majorly divide the area into two parts: Wine-Franconia and Beer-Franconia. Lower Franconia is famous for its wine, whereas Upper Franconia is known for its beer. This beer region is home of almost one hundred breweries brewing several types of beer according to the ancient traditions and brewing culture. Bamberg especially is known it’s famous Rauchbier (smoked beer) which is one of the many other famous beer types. Different types of malts are used for the brewing. The malt is smoked over a beach fire to give a smoky flavor to the beer. Beer can be further classified into following types when we talk special brews of Franconian breweries. Lager or Helles is generally pale, malty with a strong hoppy flavor. Pils beer is actually hoppy and light bodied. It’s surely hopped and malted extra in Franconia according to the taste of the beer drinkers. Dunkles is again heavily hopped but red-brown in color and tastes nutty & malty. Weizen is made from wheat malt and usually has high CO2 content in it. It’s actually top fermented and contains yeast which actually acts as an important ingredient for its manufacturing. Kellerbier is often unfiltered and is a version of a pale colored lager beer. However, St. ERHARD beer is a filtered Kellerbier which gives a clear look and makes it durable for export. Schwarzbier is black in color and is made with dark malts which are usually dry and roasted. However, there are many other brews which the tourists and the local people enjoy every day. Every beer has its own recipe with the specific malts and hopes used in the brewing process. 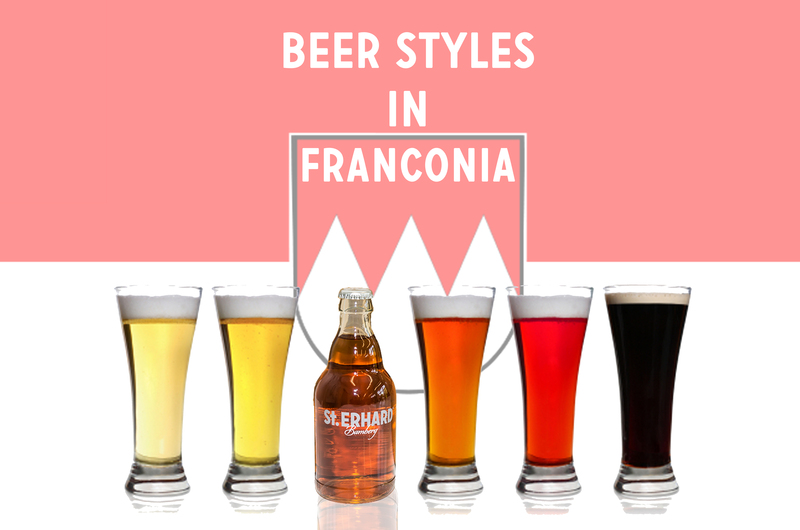 Different companies in Franconia are specialized in their own beers and carry out their old traditions when it comes to the beer and food offerings. Following the cultures and traditions of the whole Franconian region, we at St. ERHARD plan to portray this valuable custom through our beer in Asia and in other parts of the globe. Our Kellerbier is made out of finest ingredients and is malty in taste, taking into consideration the taste preferences of beer enthusiasts all across the globe. Our vision is to be one of the major synonyms of German and especially Franconian beer abroad. Mit dem 1. Mai startet in vielen deutschen Regionen die jährliche Kirchweihzeit. Hier in Oberfranken nennt sich die Kirchweih „Kerwa“. Wie der Name schon sagt hat die Kirchweih – die Weihe der Kirche – ursprünglich einen religiösen Kontext. Die Kirchweih fand meist im Zuge des Festtags des Namenspatrons der jeweiligen Kirche fest und wurde von der ganzen Bevölkerung gefeiert. Um die Besucher zu unterhalten und zu verköstigen wurden um die Kirchweih komplette Feste organisiert. Durch Musikgruppen, Jahrmarktsständen, Imbissbuden und Festzelte angelockt besuchen die benachbarten Städter und Dörfler gerne die eine oder andere Kerwa. Dabei steht natürlich auch der Alkoholkonsum im Vordergrund. Traditionell wird auf einer oberfränkischen Kerwa natürlich Bier ausgeschenkt. Bevorzugt wird hierbei meist die nächstgelegenste Brauerei. Und die befindet sich bei der hohen Brauereidichte in Oberfranken spätestens im nächsten Dorf oder Stadtteil. Eine der Hauptattraktionen einer jeden Kerwa ist das Aufstellen des Kerwabaums. Dieser mit einem Kranz versehene Baum wird von den weiblichen Bewohnern der Stadt oder des Dorfes zuerst mit Bändern, Luftballons, etc. geschmückt und dann von den männlichen Bewohnern aufgestellt. Diese Prozedur zieht sich meist über mehrere Stunden hin und auch dabei darf das Bier fließen. Die wohl bekannteste und größte Kerwas im Bamberger Raum ist die Sandkerwa. Den Namen erhielt die Sandkerwa, da diese Kerwa sich von der Bamberger Sandstraße bis in die Innenstadt hinzieht. Sie findet jedes Jahr Ende August statt und zieht in den 5 Tagen (Donnerstag bis Montag) ihres Bestehens über 300.000 Besucher an. Eine weitere sehr große Kirchweih ist die Bergkirchweih in Erlangen oder auf fränkisch einfach nur „Berch“ (der Berg) genannt. Die Bergkirchweih dauert mit 12 Tagen für eine Kirchweih verhältnismäßig lange. In dieser Zeit besuchen jährlich gut eine Million Menschen den Erlanger Berg. Diese Kirchweih ist so nach dem Oktoberfest in München und dem Gäubodenfest in Straubing das nach Besucherzahlen das drittgrößte bayerische Volksfest. Eine Kerwa dauert hier in Oberfranken meist fünf Tage übers Wochenende von Donnerstag bis Montag. Die Kerwasaison zieht sich über mehrere Monate hinweg von Mai bis Oktober (teilweise sogar bis Dezember). Wer nun gerne eine Oberfränkische Kerwa im Raum Bamberg besuchen möchte kann sich auf www.kirchweihkalender-bamberg.de über die Termine informieren. A positive change in the demographics, an increase in the income levels and a substantial change in the spending patterns has turned India into a lucrative market for beverage companies. Changing lifestyles, age profile and also the modern lifestyle has been acting as a catalyst in promoting the alcohol consumption in the country. Beer and wine is one of the most consumed beverages all across the world. With a rising aspiration level and emergence of various foreign brands, Indian consumers are now becoming highly experimental with beer. They are always looking for a special and better taste when it comes to beer. Also Indian consumers (especially youth) have become brand oriented. Indian beer industry has been growing since the past decade with a steady two-digit growth rate annually. The domestic production of beer and wine, both are on rise. Beer industry witnessed 12 percent increase in the domestic beer production. 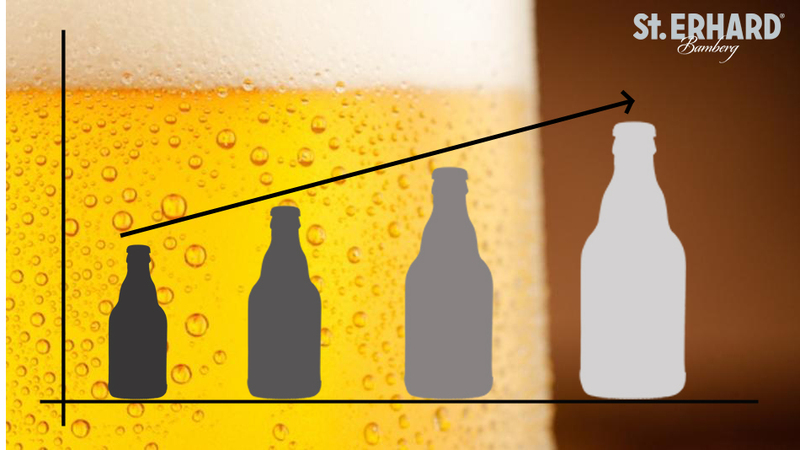 Indian market portrays high potential for all the beer beverage brands across the world; however, per capita consumption has to increase in order to give boost to the trade. Recently, there has been a change in the consumer buying preferences and the stores like The Beer Café and The Pint Room have started capitalizing on the same by bringing beer from different parts of the world under one roof. Idea is to cater to all beer enthusiasts in India. 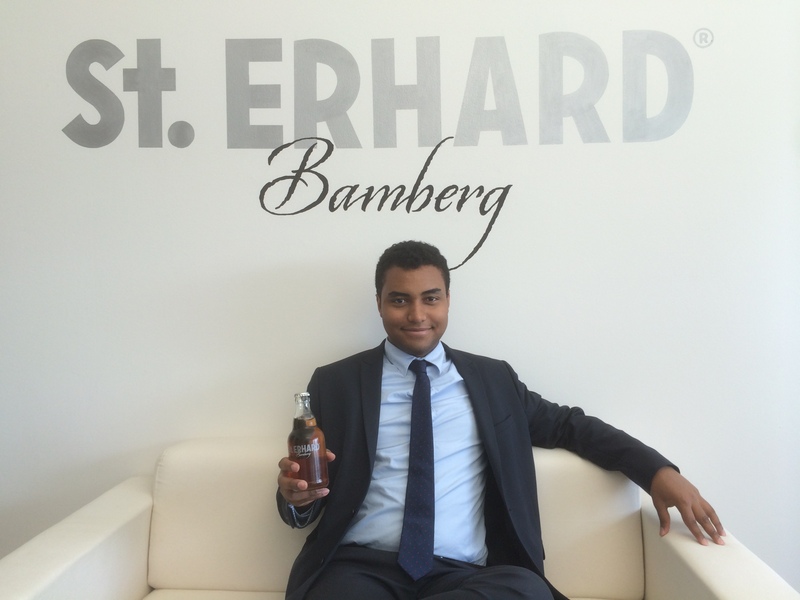 St. ERHARD is indeed one of them and is representing the rich German beer culture in India. We are happy to be a part of this initiative where Indian consumers will get an idea of how a beer brewed and bottled in Germany tastes like. We strive to provide a unique experience through a transparent bottle packed with a premium quality cellar beer called St. ERHARD.